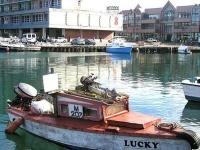 Got a question or comment about Activities in Barbados? Ask a Travel Expert! Cruise ships are a luxurious way to relax in Barbados, travel through the region and enjoy beautiful views. Various eastern-Caribbean voyages either board and disembark on the island, or feature it as one of their main ports of call. 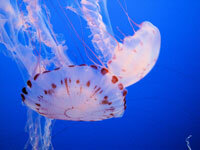 The waters around Barbados are a treasure trove of marine life. Scuba divers will find corals, turtles, rays and barracudas, as well as numerous schools of tropical fish in barrier reefs around two miles (3km) off shore. Eels and seahorses populate the fringe reefs found closer to the coast. 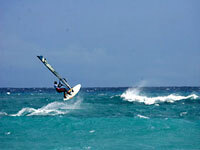 Barbados is one of the best windsurfing spots in the world. Beginners and veterans will find a dream setting in which to ride waves, jump or simply sail.